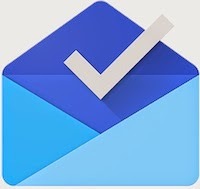 Google Inbox Review: Does Google Finally Reinvent the Age-old Webmail? Despite having a complete dominance over the webmail market, Google has repeatedly tried to reinvent the way email technology works. Whether it’s the defunct Google Wave or the more social Google Plus, the search giant has made numerous attempts to revolutionize this technology. However, despite its valiant efforts, email still works pretty much the same way it used to work ten years ago. Many people, despite the surge of alternative messaging platforms, haven’t been able to get rid of their beloved inbox. Furthermore, in enterprise settings, email still is the backbone of communications across various departments. In short, email is here to stay and yes, Google knows that. That’s why, instead of reinventing email, Google is trying on a new strategy. They are trying to make your email usage more productive. 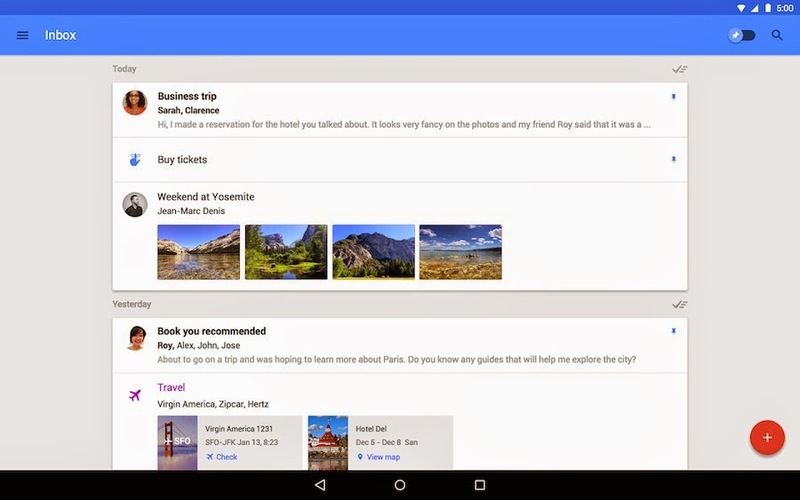 Google’s latest endeavor, titled Google Inbox, is a new app by the Gmail team. Its goal is to help you use your inbox to get things done. Let’s take a look at this new app and see whether it is here to stay or turn into another axed project. Google Inbox: What is it? If you are a productivity fanatic, you must definitely have heard the buzzword “inbox zero.” It’s the bragging right of individuals who aren’t that burdened by the barrage of emails that land in their inbox every day. While there are many strategies to manually achieve that coveted inbox zero, Chrome extensions being one of them, many users still find it difficult to handle their inbox effectively. This, in turn, leads to the perpetuating problem: people are being controlled by their email instead of them being in control. Google Inbox aims to fix this issue by organizing your incoming emails into “bundles” so that you can see only the stuff that’s important and sweep away the rest. Today, your email inbox isn’t just about mails from co-workers, bosses, and friends; it also includes newsletters, promotions, purchase receipts, unsolicited spam, and much more. Thus, instead of focusing on the emails you need to reply to urgently, you end up checking a hundred different things that are irrelevant to your workflow. By bundling your email into categories like Purchases, Updates, and more, you can quickly get to emails that matter to you the most. Another great thing about these bundles is that you can sweep away all the emails in that category by a simple click. So, let’s say you have about 100 promotional emails that you don’t even want to see, you can simply click on the double tick marks and voila, all the messages in that bundle get archived. While there are some amazing To-do list software out there, Wunderlist and Todoist -- for example, Google Inbox promises to be strictly an email tool. And yes, it does live up to that promise. What Google does is that it integrates the to-do functionality into your inbox as a simple add-on feature rather than it being the showrunner. This means, by clicking the check mark you archive away all the emails you’ve worked on and then move on to the most important ones. In a way, this adheres very strongly to the GTD approach that was quite popular a few years ago. So, in a way, the To-do functionality makes it easier for you to focus on the most important things in your inbox and take away the rest. So, Can it Replace Gmail? Well, it is a strange question because Inbox isn’t meant to replace Gmail. Inbox is designed to take Gmail and make it into a productivity powerhouse. Whether you are buried in a barrage of promotional emails or you spend your Sundays chasing the coveted “inbox zero,” this email app will help you sort through the mess a lot quicker. It won’t write your mails, nor would it do your dishes, but it will definitely make you spend fewer hours in the “just checking my mail phase” and move you closer to a pristine neat inbox. Google Inbox is definitely here to stay. It is meant to be a booster pack for your email and yes business customers are already seeing the appeal to it. While it may not replace your webmail just yet, but we won’t be surprised if it does so a couple of years down the line.